The incorporation of carbon into the film increases its hardness and wear resistance, while lowering its coefficient of friction from the properties of TiN. These properties yield significant lifetime improvement in comparison to TiN coatings. 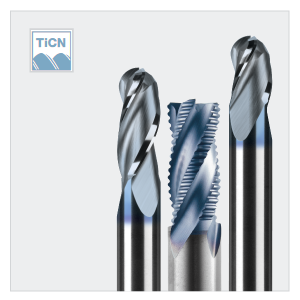 Due to its increase in brittleness, TiCN is deposited as a multilayered coating to have adequate toughness for cutting applications. TiCN appearance can range from a near-gold appearance, to a copper color, to the silver-blue color typically found in the marketplace. The color depends on the carbon content and other coating processing factors in the composition of the final coating layer.